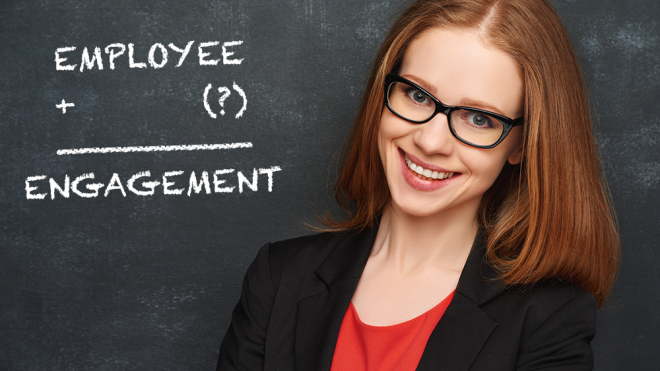 Who owns the Employee Engagement Equation? Reports and surveys and studies continue to cite employee engagement as fundamental to maximizing performance and to achieving organizational goals. Training programs prepare managers to reach out to team members and ask questions to better understand what employees need and want from their work and from the environment. Managers are instrumental in creating and maintaining the space in which work happens. Nothing grows without careful attention to the surrounding atmosphere. So, yes, managers own a piece of the employee engagement equation. But what about the employee? Most of us are employees – even a sole proprietor reporting only to himself or the small business owner sharing her home office with her dog – they are both employed to do something, to create something, to achieve something. 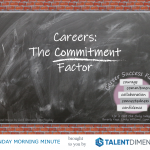 What piece of the employee engagement equation does he own? Does she own? What piece of employee engagement do you and I own? And if we own it, what can we do about it? An organization in its simplest form is merely a group of people – of employees – who come together to do something. An organization is comprised of individuals working toward a common goal – to create a product, to deliver a service, or to accomplish a task. Employee engagement – the combination of the engagement levels of each one of us impacts our group’s ability to achieve whatever goals are set. When engagement of the individuals in the group is lagging or missing in some way it negatively impacts the combined efforts of the entire group. Each and every one of us owns some piece of this thing called engagement if we want to achieve something as a part of a larger team as well as individually. There are not a lot of people who yearn to be a part of a failing effort. So what can be done? What can individuals do, to impact the employee engagement levels in the group? First, how about starting with my own engagement level? I can take a close look at what’s working for me and what’s not. Asking myself the question – When am I performing at my peak? What’s happening then? What does it look like? What am I doing? What’s going on around me? 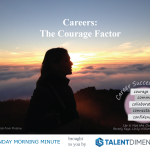 – can give me a clearer picture of my own employee engagement conditions. A colleague shared with me that she learned that starting her morning routine listening to a business podcast puts her in the right frame of mind to dive in when she sits down at her desk. A young professional I know is careful to create spaces on his daily calendar to exchange ideas and have a conversation with his teammates because he has learned that peer interaction is essential to his level of employee engagement. A friend who recently began working from his home office struggled with how to get into the “office mode” until he discovered that walking two blocks to his favorite coffee shop then returning to “the office” was what worked for him to set the stage for his day. Unless we do some reflection on what works for us, we may be missing some really simple things that can make a difference. Second, when I find that something is missing or not quite right – something that could make my own engagement even better – I can talk about it, ask about it. Is there something a manager or a colleague could do to help? Often a simple change can make a very big difference. A manager in a recent program shared that he narrowly avoided losing a top performer because he didn’t realize how concerned the employee was about some upcoming changes in direction. Fortunately for the manager and for the individual, a candid conversation was all it took for the employee to feel more engaged in the organization’s future and for the manager to get a better understanding of this individual’s engagement level. Of course, it’s possible that the one thing that’s needed might not be feasible at the moment – maybe the manager can’t make a change in the schedule to better match my needs right now, or there’s not a role at the moment in a particular project I wanted to be a part of – but at least I’ve made known that something is important to me, and put it on the radar screen so it might work out in the future. The answer then is that the employee engagement equation is owned by employees – by each one of us – as well as by managers – and can be an equation with powerful and positive results!